Are you looking for new kitchen cabinets, bathroom vanity, or perhaps built-ins for your MN home? Well, you have two types of cabinets to choose from with when looking for new cabinets. The first choice is custom cabinetry, and the second choice is semi-custom cabinetry. 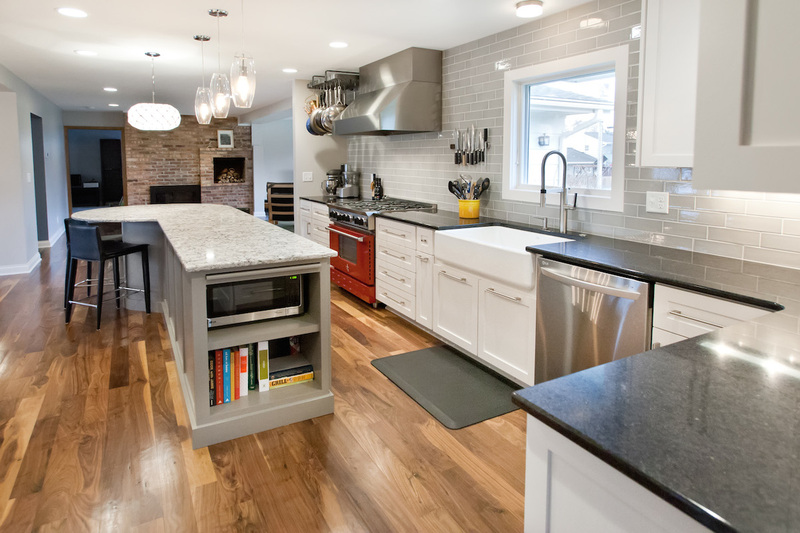 In this blog, we are going to talk about the difference between custom and semi-custom cabinetry. Custom cabinets are just that, custom. Custom means they are made from scratch, specifically designed for your space. Since the cabinets are designed for your space they can be built to utilize every inch. There are many ways custom cabinets can be built. How cabinets are made is important for to understand the difference in price and durability. At Artisan Cabinet Company, we build our cabinets with ¾” mdf sides, bottoms, and backs. Our drawers and pullouts are made out of 5/8” maple and dove tailed. Our cabinet doors are made to order in whatever wood species you desire! Custom cabinets are built in a shop by one or two of our cabinet makers. So, your cabinetry gets the careful attention to detail from start to finish. Your options are unlimited with custom cabinetry, from style, size, to color. Semi-custom cabinets are usually made in factory on an assembly line. They are made in 3” increments. So, to fill your space you may have filler strips to fill a void less than 3”. Most semi-custom cabinets are made with ½” sides, bottoms, and ¼” backs. Drawers for Semi-custom cabinets can be made typically are made with 5/8” MDF and stapled together. Why is it important to know how cabinets are made is important when comes to pricing? It is not unusual for semi-custom cabinetry to be cheaper than custom cabinetry. In part, how they are built is one of the reason for this, and the other reason is semi-custom cabinetry is less expensive is the install. Most semi-custom cabinets are priced out and the install is an additional charge. This is not the case with our custom cabinetry, build and install are included in one price. Options for semi-custom cabinets can be a key factor when comes to pricing. Options, such as custom sizes, colors, and drawers can drive the price up. It is important to make sure everything is included and accounted for when selecting your cabinets for your Minnesota home. In the end, based on your requirements and budget you will have to decide what is best for you, custom cabinetry, or semi-custom cabinets. Before deciding, you should take the time to compare the two options and see which is suited for you. At Artisan Cabinet Company, we believe in building a quality cabinetry, and providing our clients with exceptional service.